A week of fine, dry weather which coincided with taking time off from the day job – what are the chances of that happening? This stroke of luck meant that I was able to get cracking with many jobs in the hope that preparations could be made so things don’t get out of hand like last year. Most importantly to my mind, the seed trays are all labelled properly rather than using an old lolly stick which inevitably fades and gets covered in dirt so I can’t read what I wrote on it. 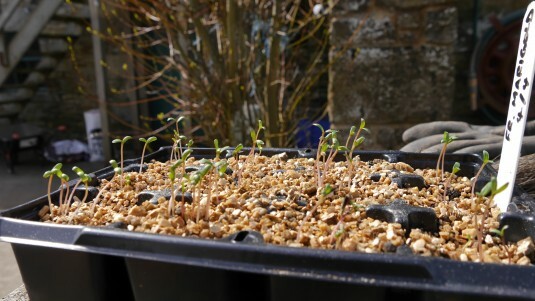 The first batches of vegetable seeds were sown over the third weekend in March, a little later than last year and a sign of what I consider to be my admirable restraint. 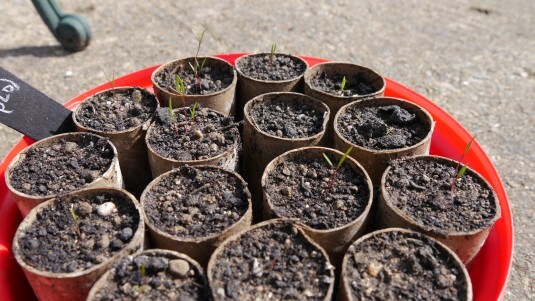 In most cases, the various trays and pots were promptly stashed in the fairly warm loft to germinate. However the leeks were left outside in the cold frame based on advice I read that they prefer colder conditions to germinate. This would seem to be true because they are looking okay so far. 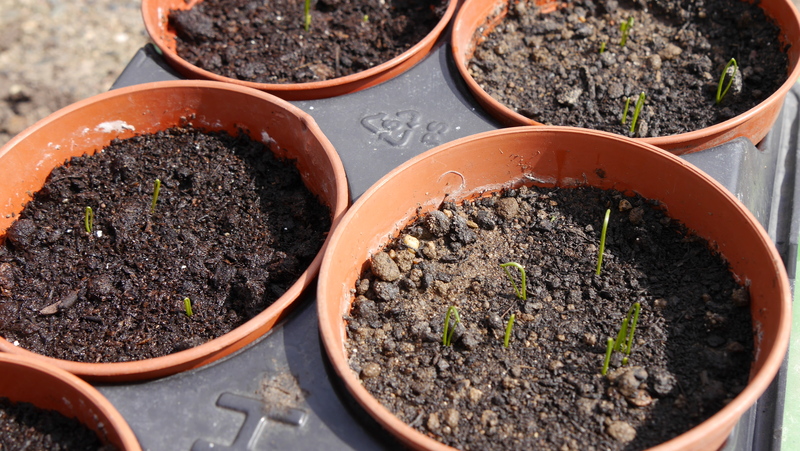 Out of interest, I decided to test the leeks using 3 pots of “Gro Sure” seed compost alongside 3 pots with “John Innes”. There doesn’t seem too much difference in the results at the moment but it’s still early days. There are now carrots, red cabbage, swede and leeks to name a few starting to show above the soil so I’m happy that I’m on course for planting out properly in a few weeks time. 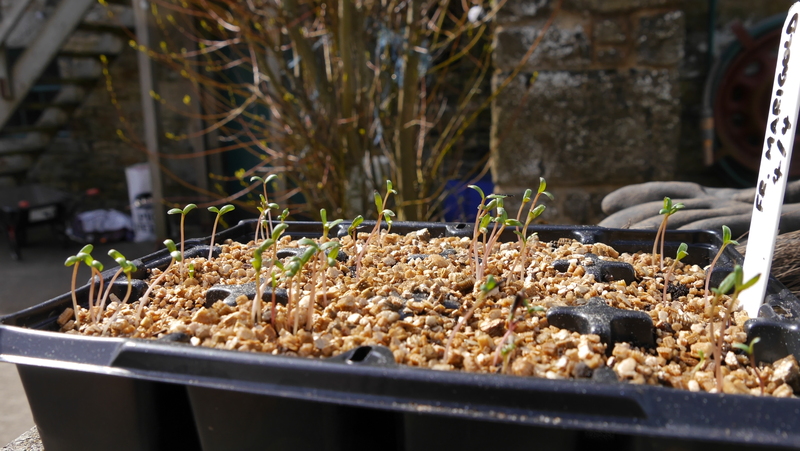 The only minor concern is that there is no sign of life from the lettuce yet but perhaps that is down to using an old packet of seed that I found. I’ll give them a little longer to come up before worrying too much. 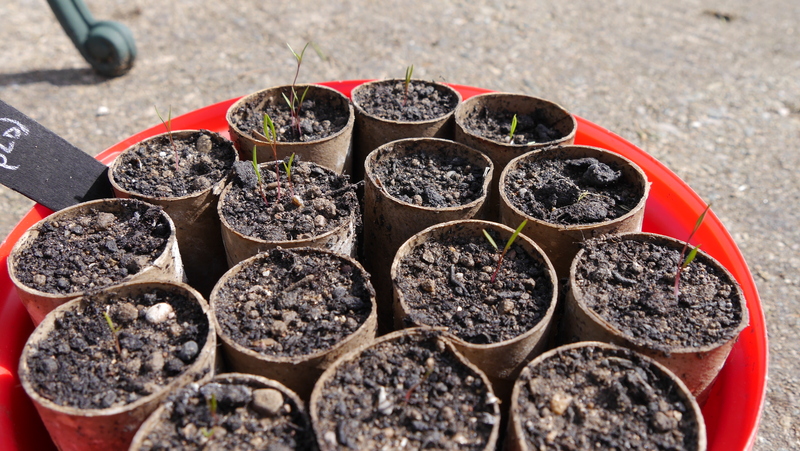 I also decided to plant a range of flower seeds this year – partly for variety because I focus on vegetables too much but also because the garden could use some colour and scent at times! All in all, a highly productive week and a feeling that good progress has been made in preparation for the rest of the growing season! 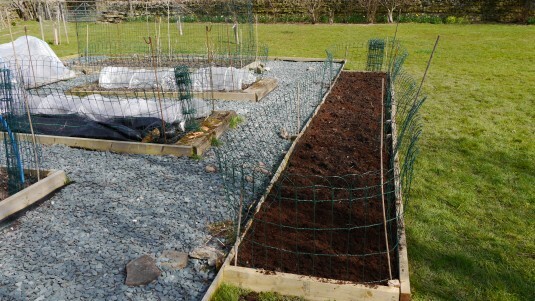 I even managed to squeeze in another raised bed using some left over materials I had lying around. I did have to buy in a few bags of compost but I was able to mix that with some home-produced compost that needed to be shifted.